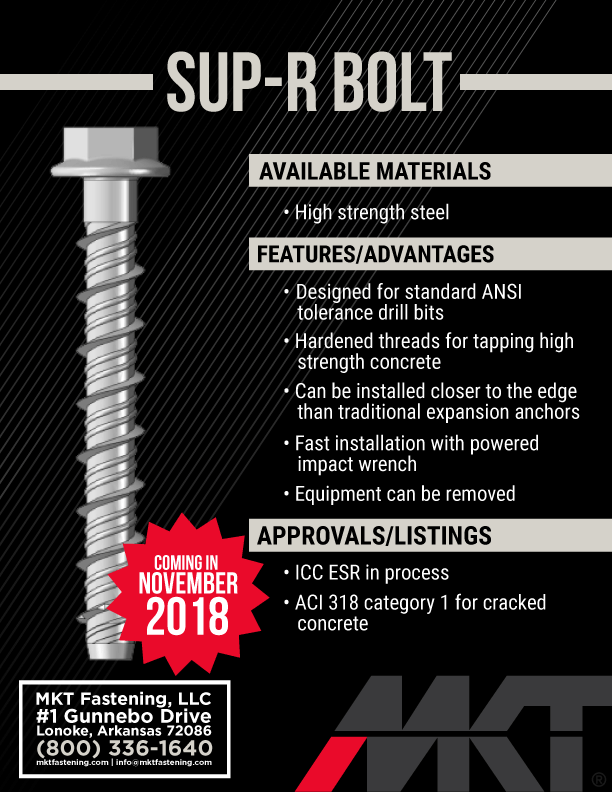 MKT Fastening proudly announces that the International Code Council has APPROVED the Sup-R Bolt for Cracked, Uncracked and Seismic applications. Here you can find the approval and technical information. We proudly present our new Sup-R Bolt. It is made of high strength steel and is designed for use with ANSI tolerance drill bits. It can be quickly installed with powered impact wrenches and also removed. It resists seismic loads and the ICC ES approval is in process. 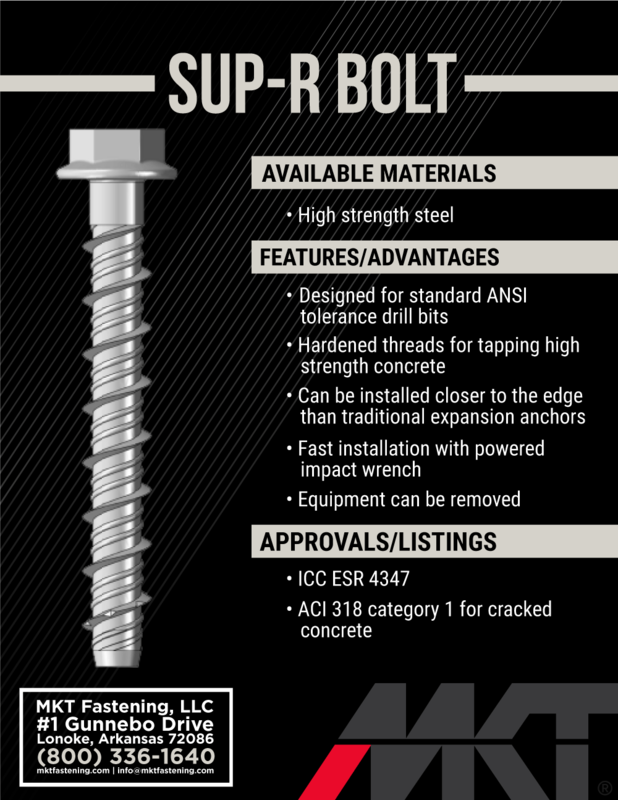 The Sup-R Bolt is available from 3/8“ to 3/4“ up to 10“ long.